Southampton is the traditional eastern terminus for transatlantic crossings. 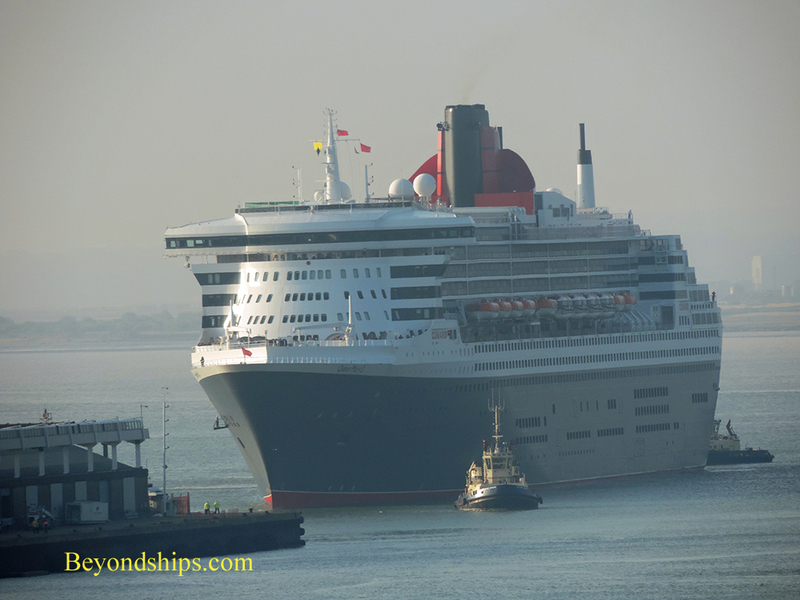 Carrying on this tradition is, Cunard Line's ocean liner Queen Mary 2. Above: Queen Mary 2 docking at the Queen Elizabeth II Terminal. Above right: Preparing for a crossing at the Queen Elizabeth II Terminal. 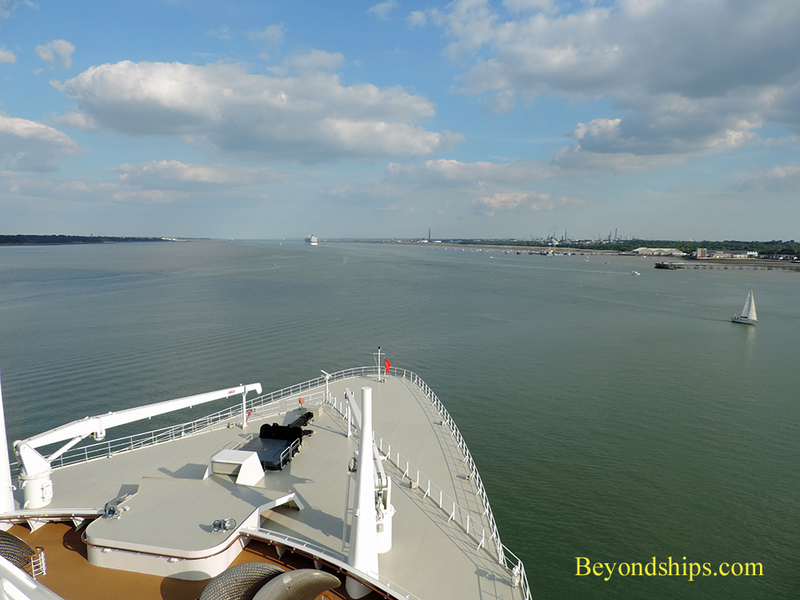 Right: Looking back towards Southampton from QM2's top deck. Ventura can be seen docked at the Ocean Terminal. 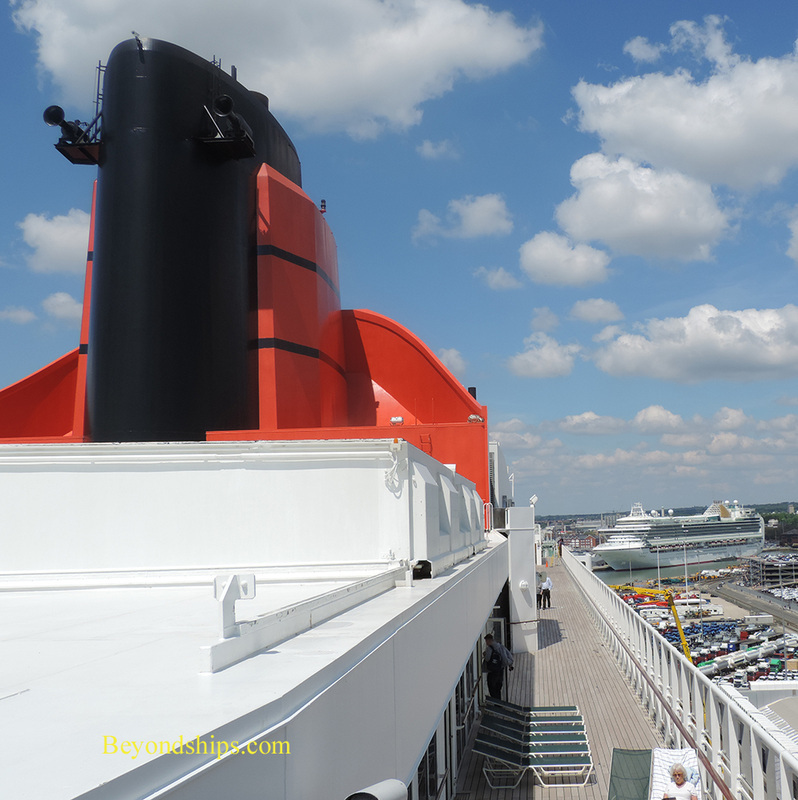 Below: Looking over QM2's bow to Southampton Water. Celebrity Eclipse was developed with the British market in mind. Since she entered service in the Spring of 2010, she has been based in Southampton during the warmer months. Even in the winter when she is based in Florida, she has a substantial number of British passengers. MSC Cruises is one of the fastest growing cruise lines. 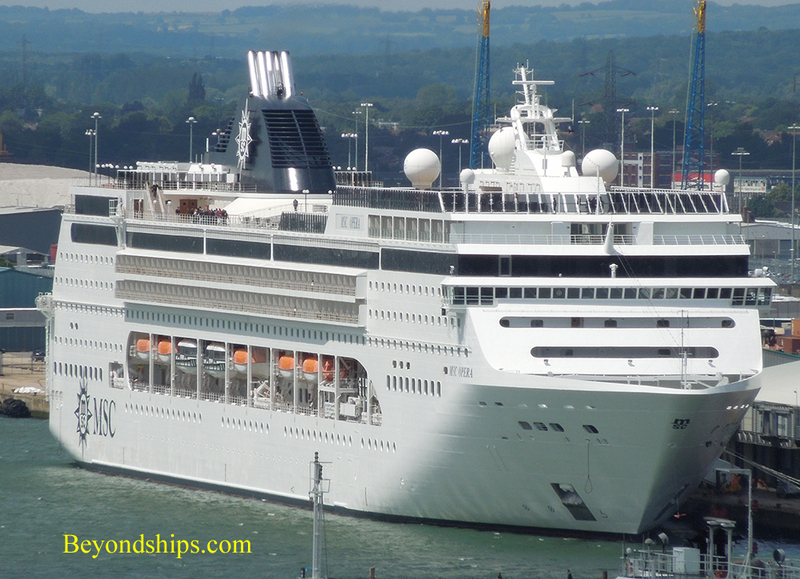 Built in France by Chantiers de l'Atlantique in 2004, MSC Opera calls in Southampton during the summer months.